One of my most frequently asked questions is what gym classes I recommend for those visiting London. As someone who has lived here for over three years, lives and breathes fitness and is a fan of a sweaty class; I definitely feel qualified to share my favourites! Right here you will find a list of my top choices for everything from yoga through to boxing, enjoy! Note: I have categorised each gym under a general title such as boxing or spinning, but most of the studios offer a variety of classes in different disciplines. Read each full review for more information. My ultimate favourite. Choose between carefully programmed weights workouts or high intensity cardio classes which leave you gasping for breath. UN1T wins for me as it has an awesome team training atmosphere. Combining treadmill sprints, sled pushes and parachute runs with floor work, this high intensity class increases both strength and cardiovascular fitness. I love the fact that they use rigs, pull ups bars, barbells and bands on the floor, to every workout is challenges your body in a new way. 1Rebel provide a variety of classes from sweaty spin through to high power boxing and challenging treadmill and weights classes. I also appreciate their unique decor and their fight against single use plastics. Frame has every class you could imagine from the classic Legs Bums and Tums through to reformer pilates and weights classes. They are best known for their dance workout though, with their Beyonce class selling out in minutes every week. The classic boutique fitness class with the signature combination of treadmill runs and floor work. Prepare to be pushed well and truly out of your comfort zone. I recommend Faisals classes for the best playlists in town! Originating in Australia, this chain of gyms has taken London by storm – they’re everywhere! F45 represents functional training for 45 minutes. Classes are either high intensity cardio blast (brutal!) or more strength focused circuits. Saturday is their signature “Hollywood” workout, don’t miss it! The little sister of Third Space gym, this boutique gym offers three main classes. Yoga, spinning and boxing HIIT. I love all three but my personal favourite is the boxing HIIT classes with Jamie – his energy is infectious. This high end studio features Londons top trainers and has an inclusive community meaning all abilities feel confident and comfortable in class. They have a diverse range of classes from yoga through to spinning, my favourite is their Lift & Row class. Its a toughie! This prestigious studio is located right next to one of my favourite vegan brunch spots, Wulf & Lamb. They have a range of classes from slow yoga flows through to TRX sweat sessions. My personal favourite is The Games, a strongman style workout which pushes you super hard. A functional group training gym using a bespoke “metabolic method”. Classes focus around strength, rowing, boxing, callisthenics and circuits; meaning there is something for everyone. workouts, to really get the infectious element of community spirit that WIT offers. Run by trainers Ash and Dave, this private gym offers classes to none members. Check out Ignite for bodyweight conditioning and Blitz for a mix of strength and cardio. Londons first eco friendly fitness destination. A range of classes are on offer but their spin is their most famous, as the bikes generate watts to help power the gym and preserve energy. The decor fits the theme, using recycled and reclaimed materials. 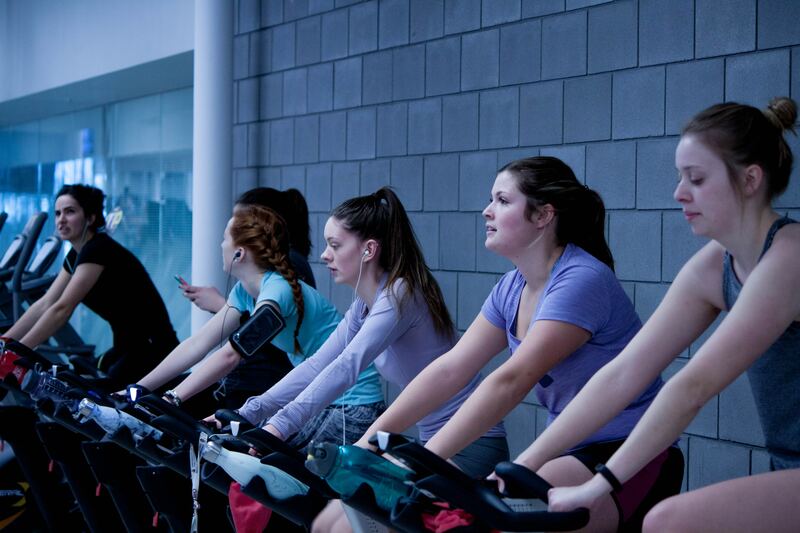 A more fun and light hearted spin class which also gets you sweating. Thing banging tunes, bouncing on bikes and some seriously enthusiastic trainers. I love it. A high intensity boxing workout alternating between bag punch combinations and floor work. The classes use bands, plates and balls along with your own bodyweight to push you out of your comfort zone. BXR prides itself on beings Londons most sophisticated boxing gym. 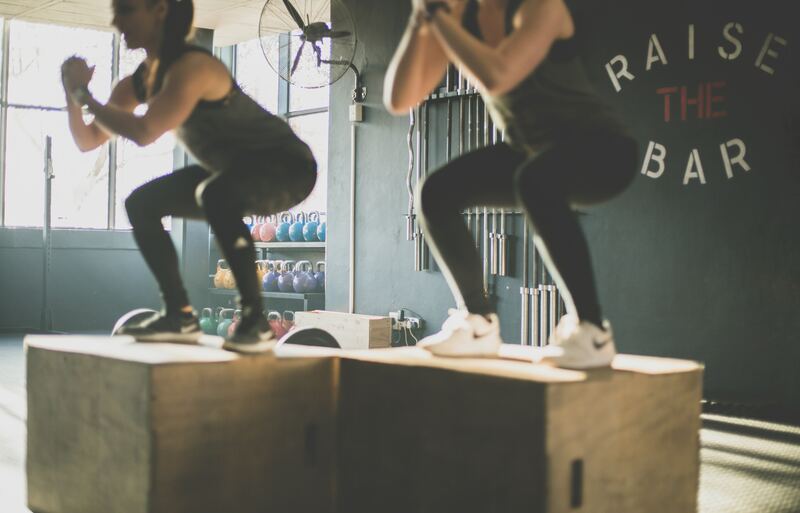 They offer “Sweat by BXR” classes for non-members to take part in, from versa climber only classes (the only one of its kind in London) through to strength and conditioning and of course, boxing. Perhaps some of the most trendy studios in London. BLOK classes not only make you work up a sweat but focus on building up skills, technique and strength. With over 160 classes a week from pilates to boxing, there will be something you’ll enjoy. (My favourite is BLOKFIT). Best known for their reformer pilates classes, Heartcore have beautiful light studios which are a pleasure to workout in. They also offer barre and lower impact strength and conditioning classes. The fastest growing barre class in London combines isometric exercises, ballet moves and static stretches to tighten, tone and seriously burn your booty (and everything else!). Paula is known for toning womens booty’s like no one else. There is a strong focus on posture, cardiovascular endurance and core stength. Her barre classes are as brutal as they are fun, leaving you waddling out of the room. The most well known yoga chain in London. The prestigious teachers come with a price tag to match but its worth it if you’re a serious yoga fan. I love their Chelsea branch as it has the cutest little health foods cafe inside. 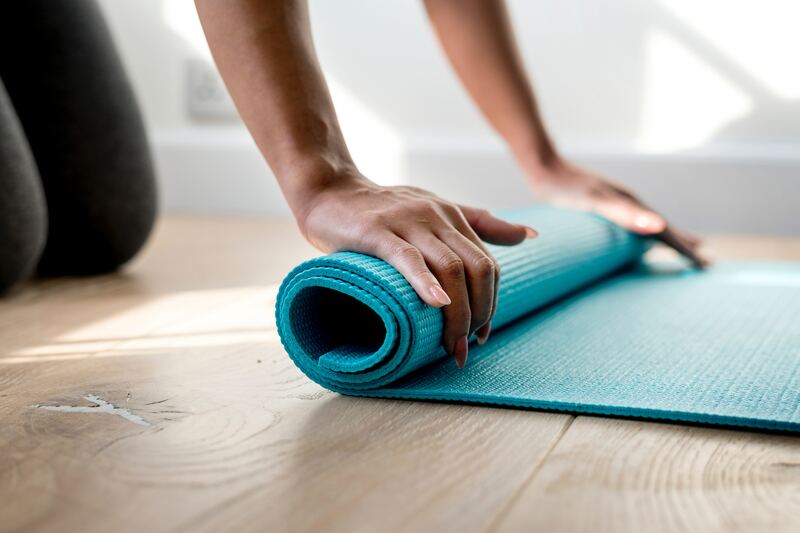 Best known for their hybrid class of pilates and HIIT, this studio also offer restorative and power yoga classes for all abilities. I personally love the way the pilates continually challenges my body. The classic yoga studio and one you must visit if you’re a seasoned yogi. They brought Brikram to the UK and have lead the way ever since. Define classes mix cardio and strength training to leave you feeling strong and sweaty. They’re best known for their barre classes but they also offer pilates, dance classes, yoga and a run club.